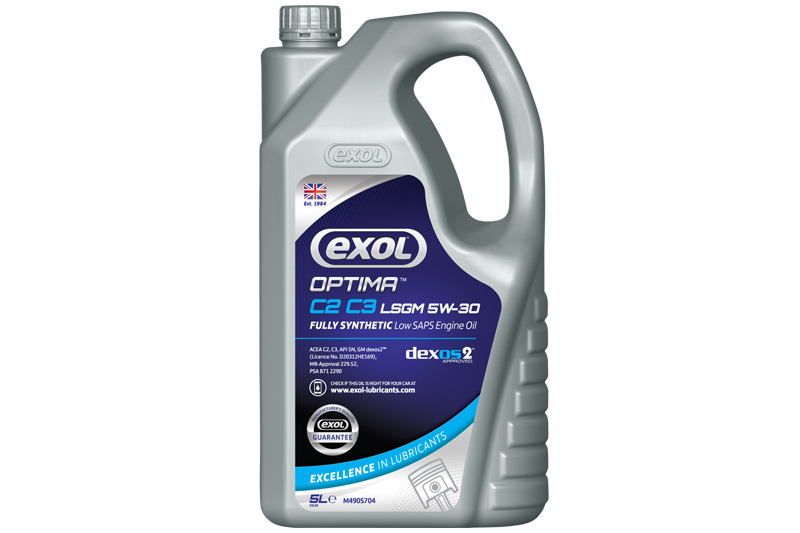 Exol has announced that its engine oil Optima C2 C3 LSGM 5W-30 has been approved to Mercedes-Benz specification 229.52. As a new generation fully synthetic multigrade engine oil formulated from premium synthetic base stocks, Optima C2 C3 LSGM 5W-30 contains the very latest detergent-dispersant additive package and shear stable polymers, says Exol. The reduced levels of SAPS (sulphated ash, phosphorus and sulphur) in Optima LSGM 5W-30 ensure compatibility with after treatment systems, such as particulate filters and catalytic converters, and its frictional characteristics promote a reduction in fuel consumption. Fully approved by General Motors, Optima C2 C3 LSGM 5W-30 is also recommended for use in a wide variety of passenger cars and vans fitted with petrol and diesel engines, including Citroen, Honda, Land Rover, Nissan, Peugeot, Renault, Toyota and Vauxhall.